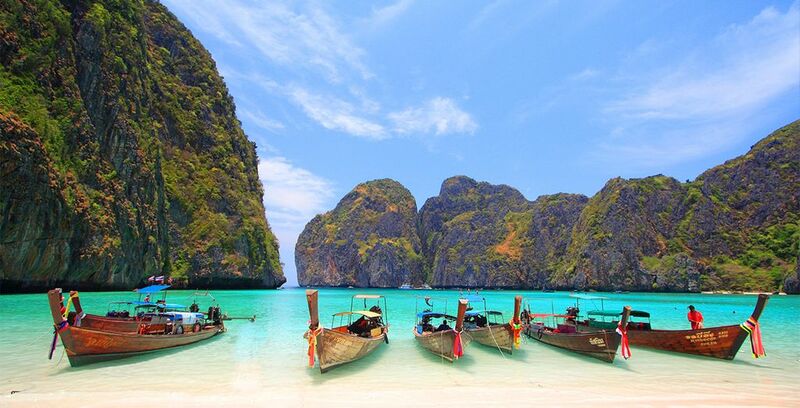 Booking to Krabi up to -70% off To take advantage of these offers, join now for free! 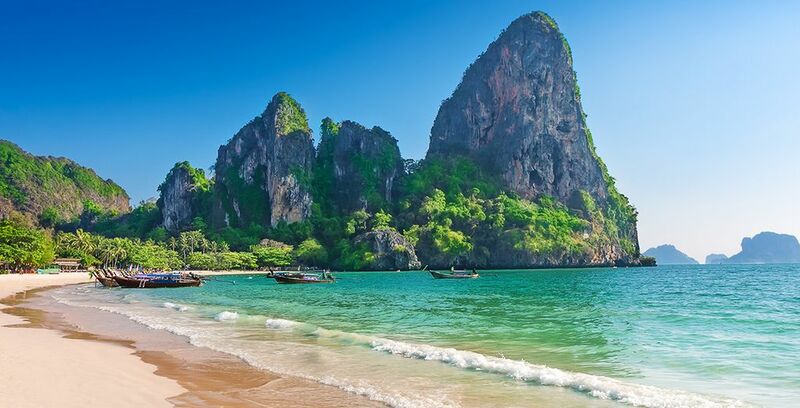 An idyllic destination in Southern Thailand, Krabi is the perfect destination for you to experience a beautiful paradise. Bordering the Andaman Sea, Krabi’s beauty is enhanced by its gorgeous surroundings. Miles of pristine white beaches, lush green vegetation, and a range of breathtaking cliff faces make it the perfect location for a holiday. 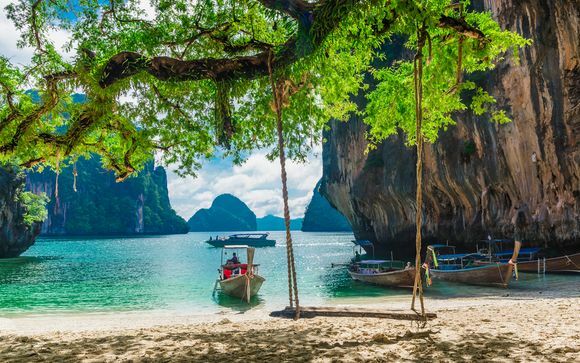 A great place to experience Thai culture, Krabi is home to an extensive range of national parks and islands which offer you the chance to experience authentic Thailand. Full of excellent vistas, Krabi offers you the ideal place to relax on holiday. 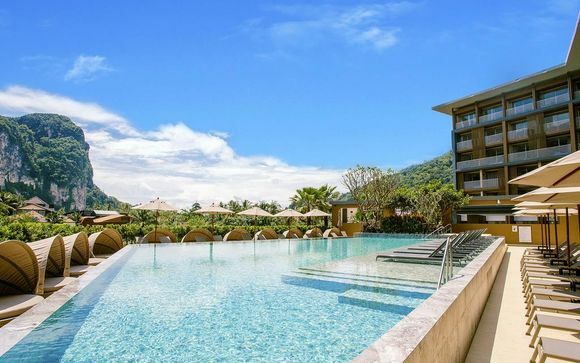 Whether you are looking to travel abroad for the very first time, or you're a seasoned traveller looking to create your ideal Krabi booking, this Thai resort offers a perfect location for you to experience the heart of Southern Thailand. You won’t be short of things to do. 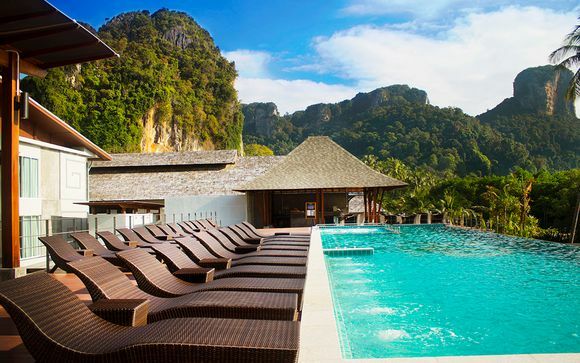 One of Thailand's original best kept secrets, Krabi is fast becoming one of the most popular resorts in the country. There are so many things to do. Its romantic sunsets and surroundings make it the ideal destination for activity holidays, a romantic break or a cultural trip with your family. The beautiful coastal resort is full of outstanding scenery, giving you the ideal location to practice your photography. Krabi is an excellent destination for food lovers, with a range of traditional Thai food. Its combination of traditional Thai restaurants and local food stalls gives you the chance to try local delicacies. Krabi’s mixture of gorgeous scenery and culture offers you a unique way to experience Thailand's rich history. Whether you're a backpacker or a retired couple looking for an adventure, placing a Krabi booking will ensure you can discover why this resort is Thailand’s jewel of the South. Although it’s named a beach, Railay Beach is a peninsula made up of four beaches, each with a stunning array of picture-perfect white sand. Located to the south of Ao Nang beach, it’s only accessible by boat. The peninsula only has footpaths, making it the ideal location to spend a peaceful day taking in the surroundings. A must-visit destination whilst you are in Krabi, Tiger Cave Temple is one of many majestic spiritual locations within Thailand. Its temple is made from limestone and located at the foot of a cliff. If you are feeling fit, the summit offers breathtaking views. Be aware it takes over a thousand steps to reach the top. Ko Poda is one of many islands within the Krabi archipelago. Just a short journey by boat, this beautiful location offers you the perfect place to explore the local sealife. Pristine clear waters and a coral reef only a short distance from the beach make Ko Poda the ideal place to go snorkelling. One of the many national parks in the region, exploring Khao Phanom Bencha National Park is a great way to experience nature. Covered by an expansive forest, this beautiful park offers a selection of waterfalls, woodland, and wildlife. It’s also a perfect destination for hikers and photography lovers. An island resort in the Krabi region, Koh Lanta is one of the best areas to go scuba diving. The clear waters make for a fantastic way to see a vast selection of marine wildlife. From coral reefs and manatees to sharks and abandoned wrecks, this is the perfect location to scuba dive. As you contemplate your Krabi booking, take a look at some of our offers. 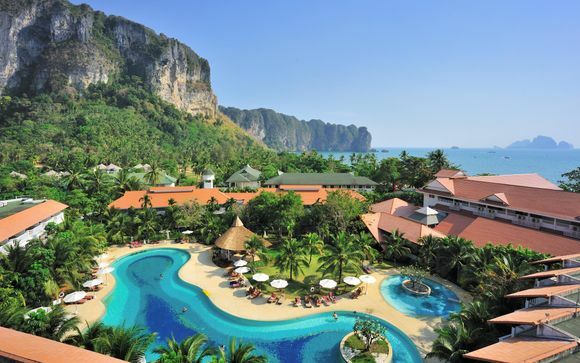 A four-star resort, set between Ao Nang Beach and Noppharat Thara, The Small Krabi offers you a charming environment complete with a swimming pool and beautiful ocean views. This tranquil hotel blends contemporary design with traditional Thai décor. 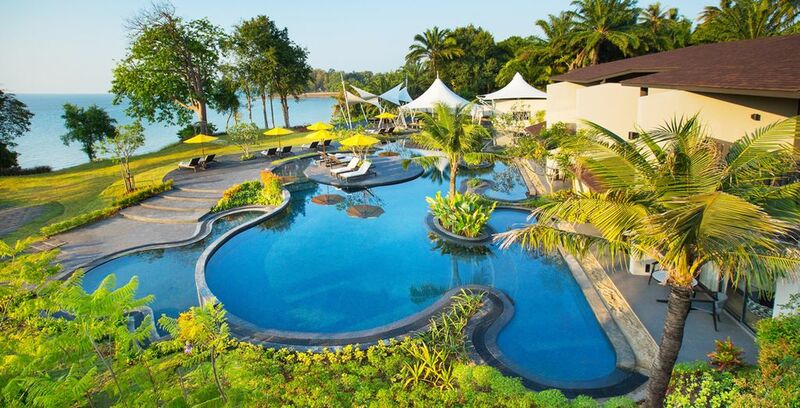 The Panan Krabi Resort is just a short distance away from the beautiful beach and calm waters of Ao Nang. The hotel features rooms with tropical décor and modern facilities, as well as a beautiful balcony for you to unwind on. Mobile phone reception is generally very good within Krabi, however, in some of the more remote locations, you lose signal. For as little as £2, you can buy a SIM. Just ensure you’ve unlocked your phone before you travel. Before you visit, ensure your passport is valid for more than six months after the date of your arrival. UK passport holders can visit the country without a visa for a thirty day period. If you wish to stay beyond this, you’ll need to apply for your visa through your local Thai embassy. 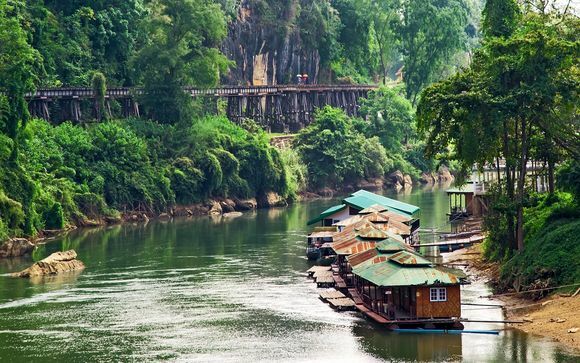 There are numerous day trips and excursions you can enjoy. Although many are available through street vendors, often your hotel will provide you with the best deal. As you look to place your Krabi booking, you'll want to make sure you have taken the weather into consideration. Krabi is well-known for its tropical climate. The average temperature throughout the year rarely falls below 30c (86f), meaning you'll need to bring plenty of sun cream. Krabi’s rainy season occurs between May to October, so if you visit then, ensure you’ve packed for the weather. There is no right or wrong time to visit Krabi, but make sure you are fully prepared for the weather that can occur during your stay. If you want to experience a true taste of Thailand, you’ll want to ensure you have planned the activities you want to do in advance. The average cost of an excursion, hiring your own transport, lunch and dinner come to around £30 a day. Should you wish to be more adventurous and do more activities, around £75 should allow you to enjoy a true taste of Thailand. Discover our krabi holidays and our booking: booking bangkok, booking phuket, booking Ko Samui, booking thailand,secret escapes.